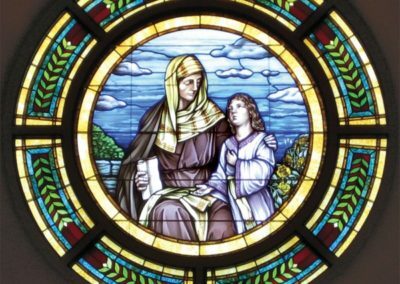 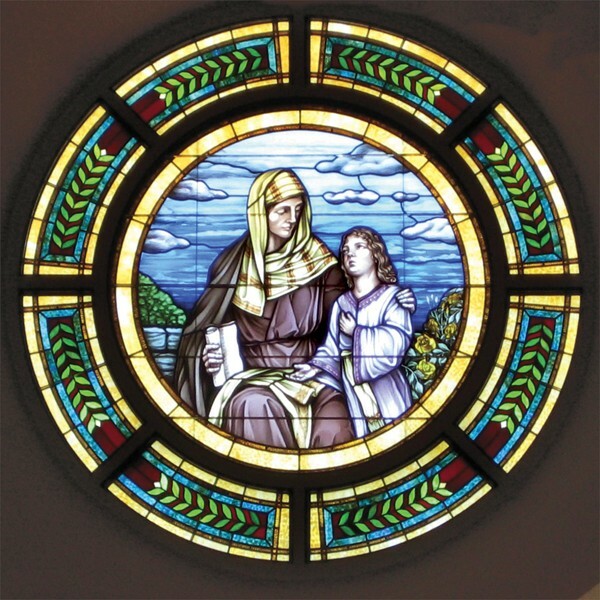 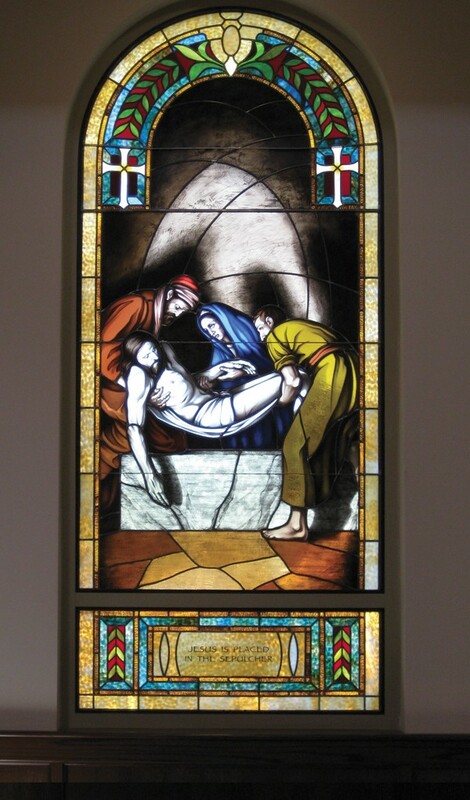 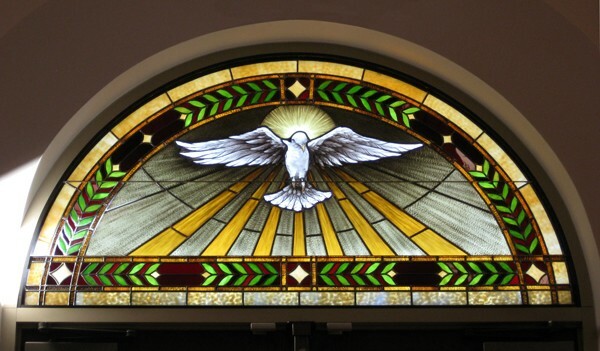 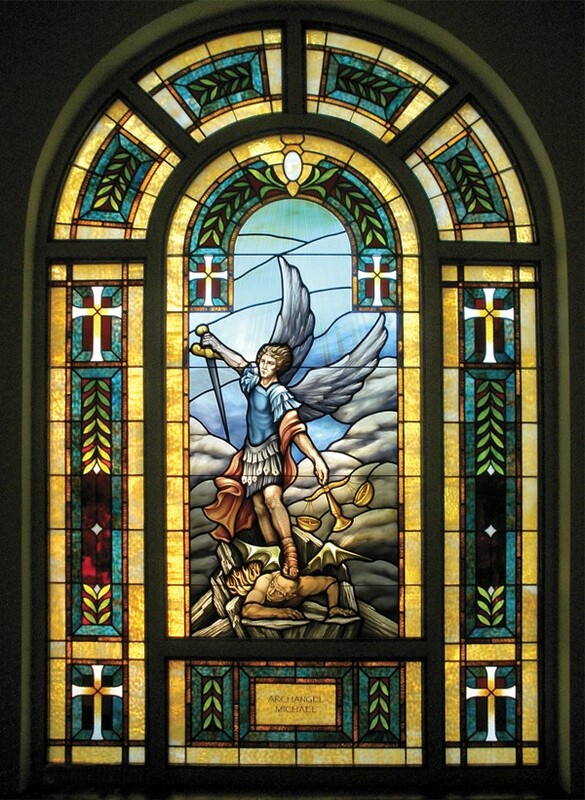 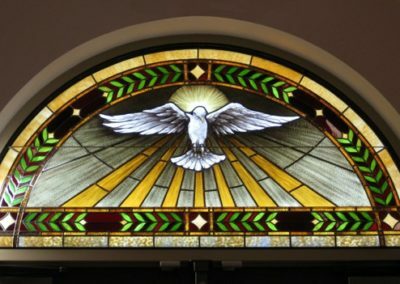 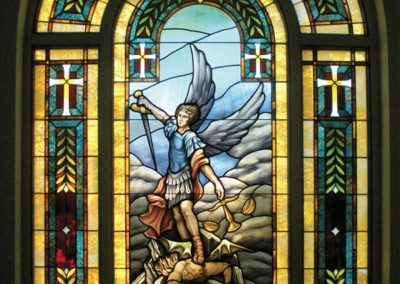 To design and create stained glass windows for their new Catholic church adjacent to the existing worship space, St. Mary Catholic Church, Sherman, Texas. 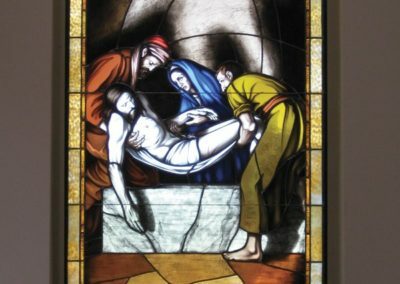 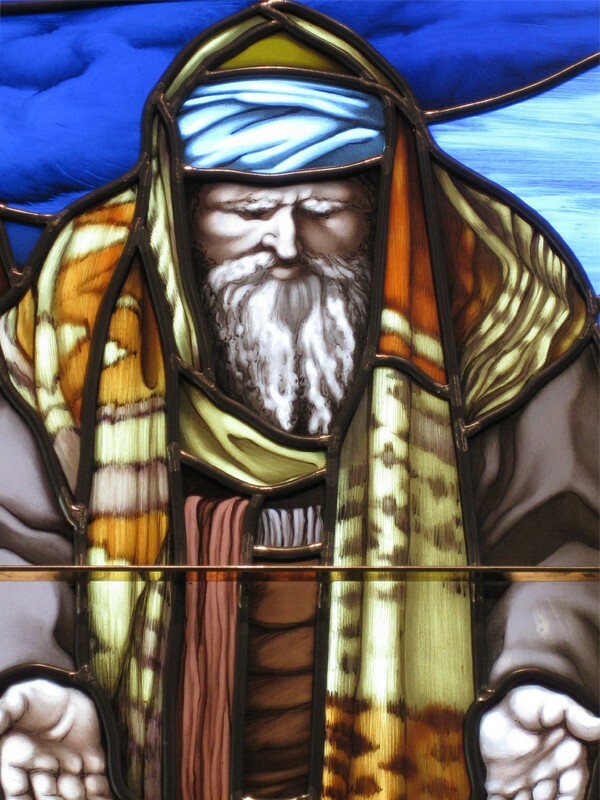 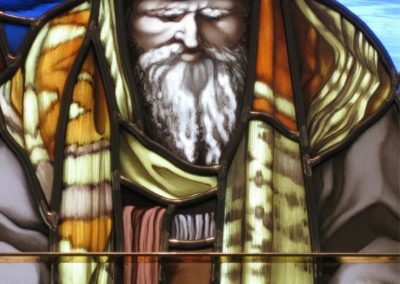 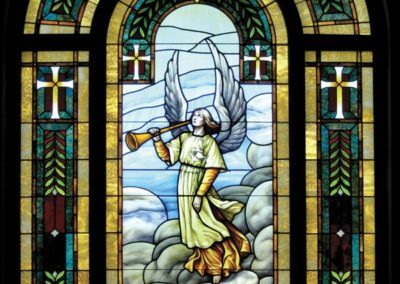 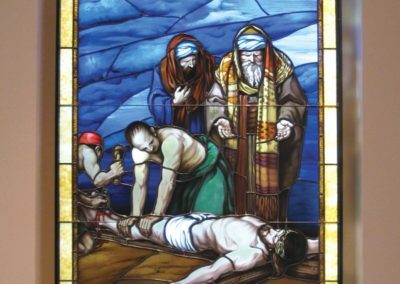 The goal of this project was to design windows to complement the style of the original, circa 1910, Riordan Studio stained glass in their existing church, while at the same time unifying the art into a more modern, contemporary setting. 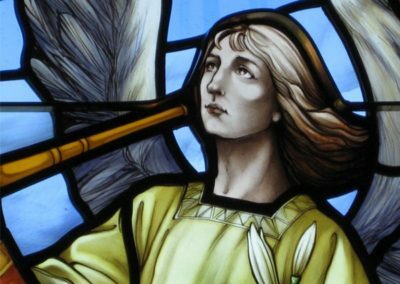 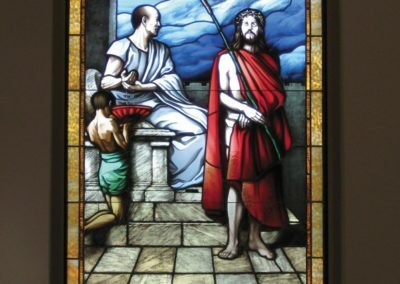 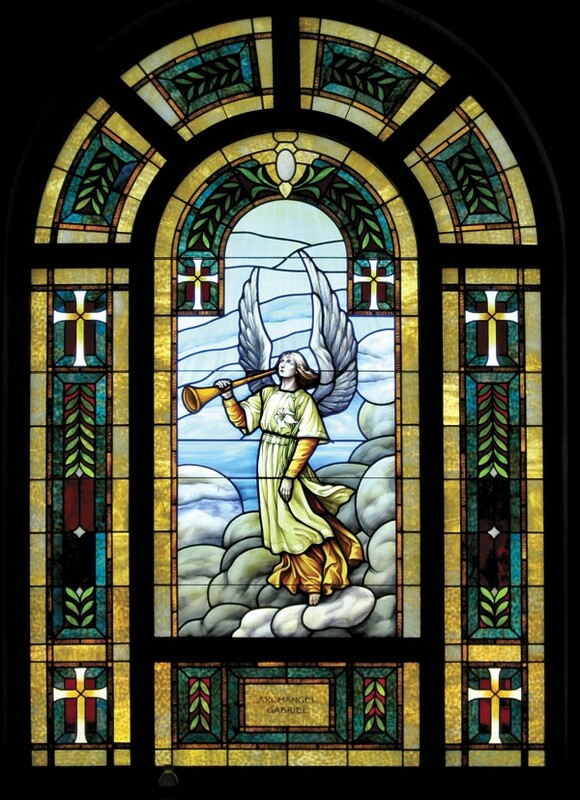 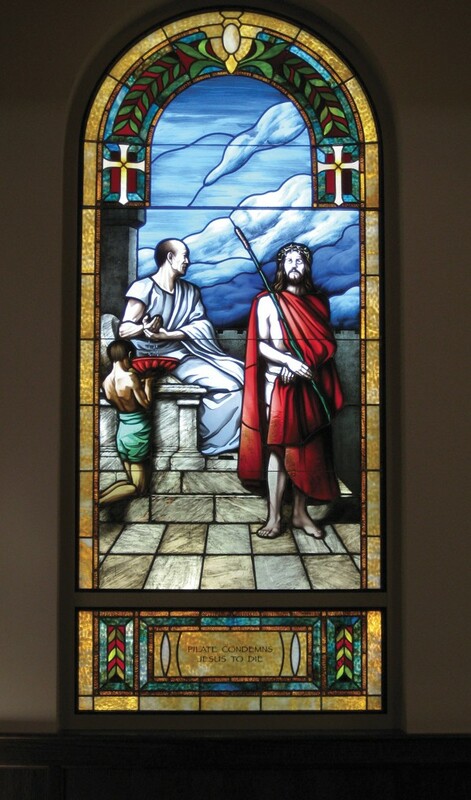 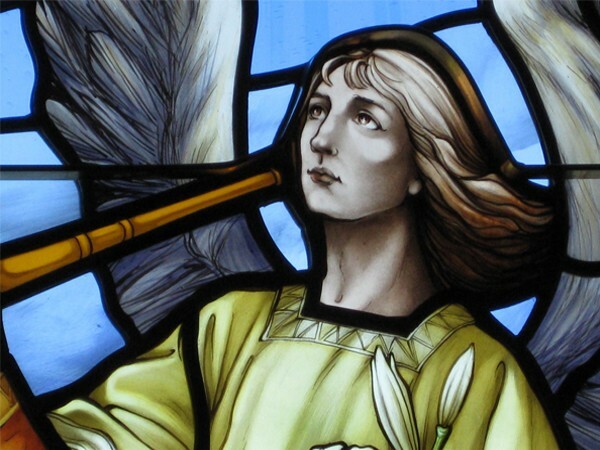 The design selected was sympathetic to the existing treasured windows in St. Mary Church, yet still embraced a unique approach to merge with their new, larger setting. 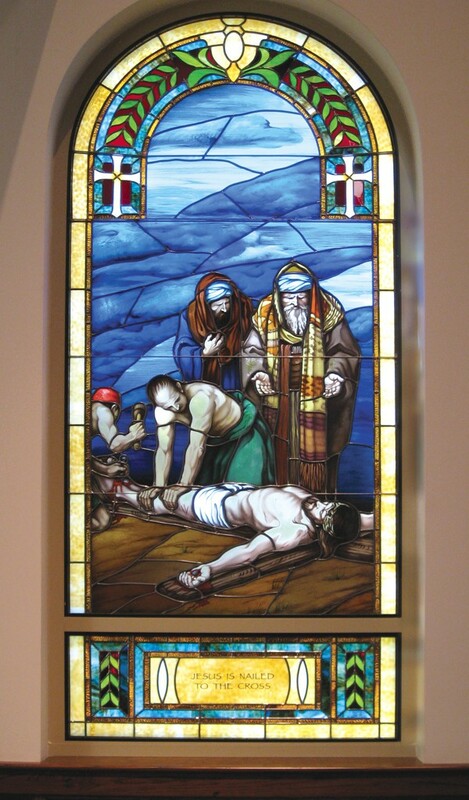 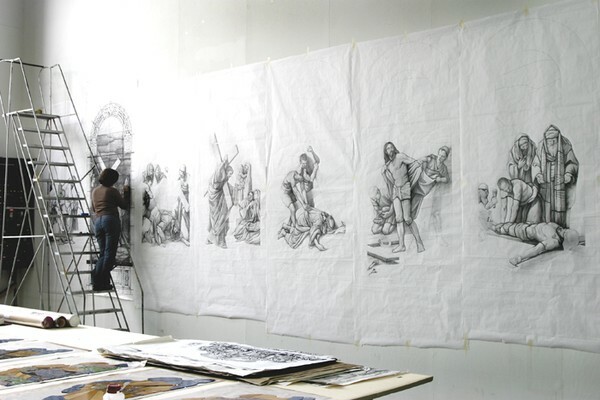 Conrad Schmitt Studios assisted the church with fundraising boards and materials. 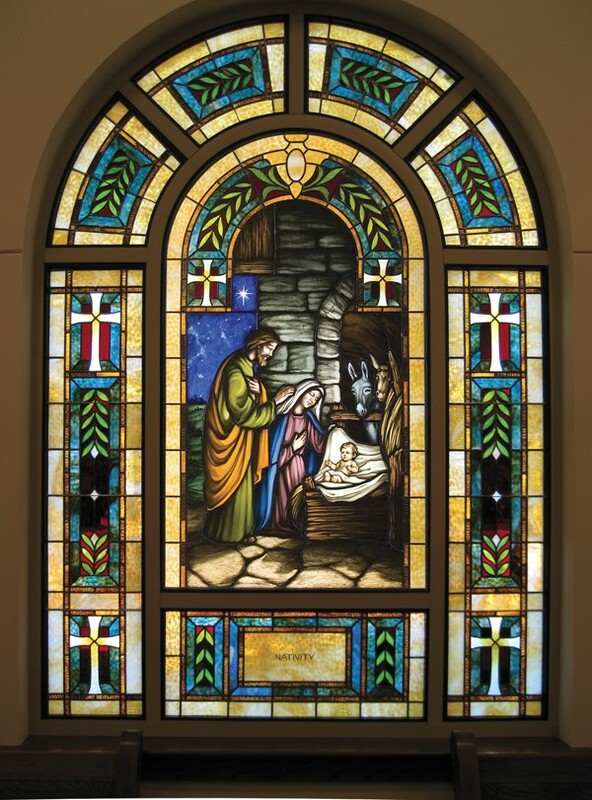 Initially, without the funds in place, it was thought the windows would be completed in phases. The fundraising campaign was so successful that enough money was raised to complete the entire project all at one time. 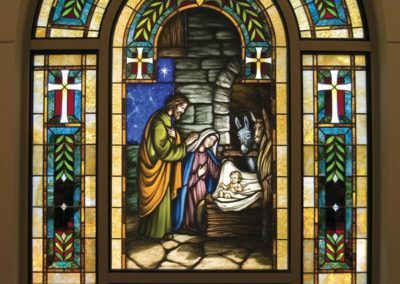 CSS artists worked closely with the church committee and the architect to develop a beautiful and meaningful window plan for the main church, chapel, sacristies and multi-purpose rooms.